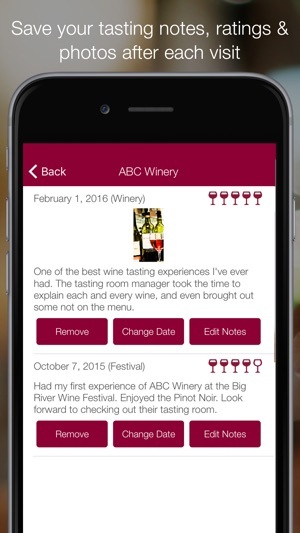 Winery Passport is your wine tasting tour guide for discovering local wines and wineries. Stamp your passport to record each experience, then store ratings, photos and more in your tasting notes. Even save the wines you’ve tried in your wine journal, then connect with friends and family to share those memories, and see theirs. Winery Passport also lets you request to book tastings, buy wine or join a wine club from most wineries. You can also find wine events going on in your area. From Napa to Sonoma, New York and up to Canada, Winery Passport is your perfect wine tasting travel companion. 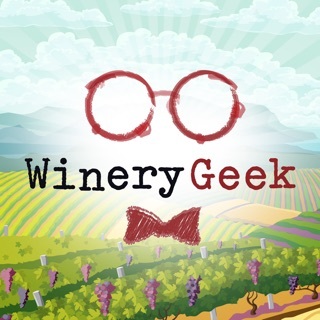 Winery Passport has been featured in Forbes, Bloomberg, Food & Wine, SiriusXM Radio, Wine-Searcher, WineIndustryInsight, WineBusiness.com, JancisRobinson.com, DrinkMeMag and more. 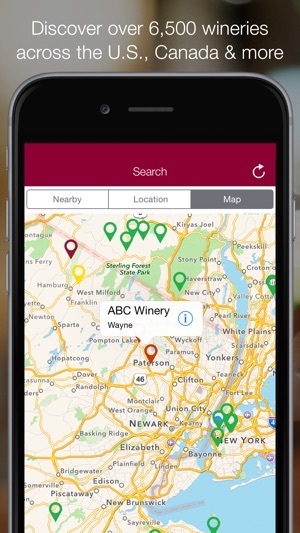 • Search for wineries: name, region, subregion, city, state/province, zip code, nearby, map, Spotlight -- more than 6,500 across the United States, Canada and Australia. • See map, email, phone, website, Twitter, Facebook, Instagram, YouTube, Google+, Pinterest, LinkedIn and Wine-Searcher links. Also, see ratings, reviews and how many stamps and wish lists each has. • Save with exclusive offers from recommended wineries — in their listing and your message center. Also, view their wine lists, tasting room hours, fees and photos. • Stamp your Passport at each winery. Then share your latest wine tasting via email, text, Facebook or Twitter. • Stockpile badges as you stamp your Passport. The more you stamp, the more distinct badge you’ll earn — 22 in total. Can you get to Sommelier and beyond? • Save wineries and vineyards you'd like to visit by adding them to your winery wish list. 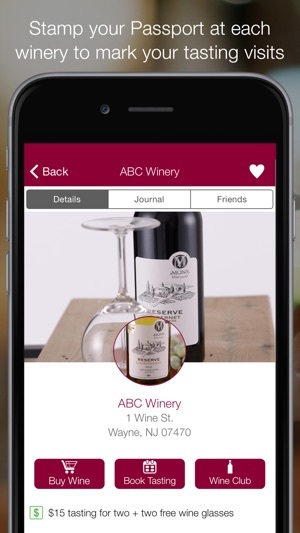 • Send requests to buy wine, book your next wine tasting visit or join a winery's wine club directly from the app. That pinot noir or tour in wine country is now just a click away. • Stumble upon new winery recommendations through our exclusive guides. These guides could be a wine region, trail or expert picks. • Store memories (rating, notes, photo and where tasting took place: festival, winery, etc.) from each trip in your tasting notes. 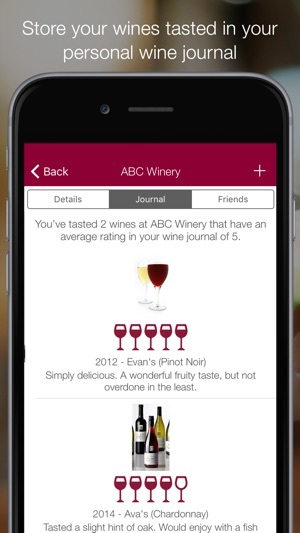 • Stash individual notes, ratings and photos on each winery's wine in your journal. • Share your winery visits, tasting notes and ratings with friends and family and see theirs, too. • See your stamp stats to find out how many (and which) wineries you've visited. Featuring Alabama, Alaska, Arizona, Arkansas, California, Colorado, Connecticut, Delaware, District Of Columbia, Florida, Georgia, Hawaii, Idaho, Illinois, Indiana, Iowa, Kansas, Kentucky, Louisiana, Maine, Maryland, Massachusetts, Michigan, Minnesota, Mississippi, Missouri, Montana, Nebraska, Nevada, New Hampshire, New Jersey, New Mexico, New York, North Carolina, North Dakota, Ohio, Oklahoma, Oregon, Pennsylvania, Rhode Island, South Carolina, South Dakota, Tennessee, Texas, Utah, Vermont, Virginia, Washington, West Virginia, Wisconsin, Wyoming wineries from the United States. Also featuring Alberta, British Columbia, Manitoba, New Brunswick, Newfoundland, Northwest Territories, Nova Scotia, Nunavut, Ontario, Prince Edward Island, Quebec, Saskatchewan, Yukon wineries from Canada. Australia is in beta. *The Winery Passport staff has worked hard to compile accurate information for each winery. If you notice a winery that is missing, has inaccurate info, is closed to the public or out-of-business, please get in touch. Please send details to support@winerypassportapp.com. **The creators of Winery Passport support safe, responsible drinking. 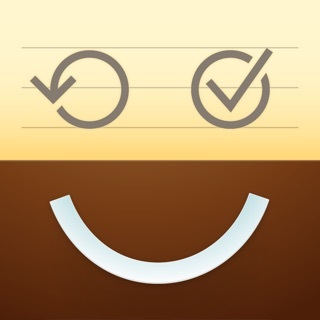 Download Winery Passport for your iPhone or iPod touch! Interested in beer? Check out Brewery Passport in the App Store. 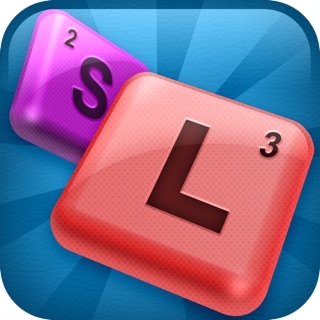 This is the app I wish I had years ago. Easy to journal wines and winery visits. You can create entries as you go, or go back and add them in after the fact. The “manage stamps” feature lets you revise the date of your visit and add details after you’ve created a stamp. Only a handful of the many wineries in my area were included when I downloaded the Winery Passport, but it was easy to submit the missing wineries to be added. 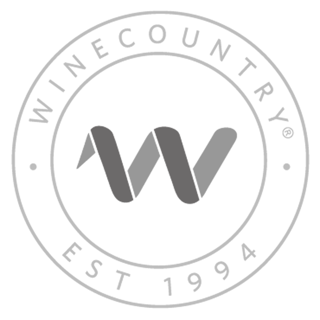 I submitted info for about 20 wineries over the weekend and the first 8 were already active on Monday, fully researched with all the details beyond the simple name and address I provided. Bravo to the developer! Thanks so much for the positive review! For years, we would visit different wineries or different wine trails, and the next time we went back we couldn’t remember which ones we liked, or which wines were our favorite. So many wineries have seasonal or specialty wines that change on a regular basis, and many of the wine names are similar between wineries. Having a place to keep track of everything is great, and allows us to try new varieties, knowing that we have a record of past tastings. There’s no more ‘I can’t remember if I liked this one or not...’. Variety IS the spice of life!! 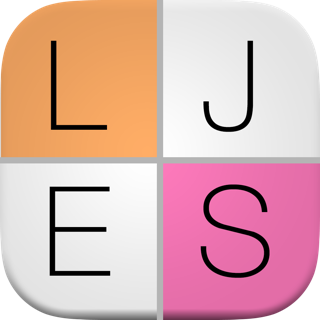 Thanks so much for the fantastic review! Happy holidays! I live in an area with a Wine Trail and this app has been so useful in keeping track on where we have visited and what wines we love. I would absolutely pay for this app to keep the ads away. I did try to submit missing winery information through the app and never received a response. After reading a recent review, I see that I must submit information via website. 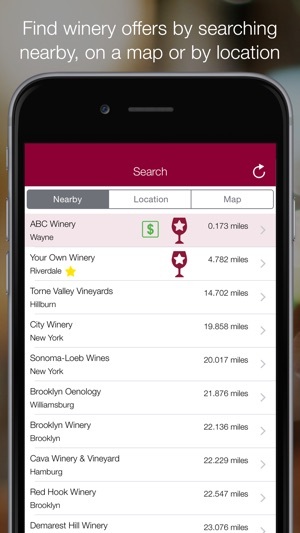 Is it possible to make a button or place in your app to submit a new winery? Thanks for the positive review! If you click on the + sign on the home screen, that is a form to submit missing wineries. You can also go here in your web browser: http://www.winerypassportapp.com/winerysubmit. Hope this helps. Cheers!